Ald. Proco Joe Moreno fields questions from EVA members. New ballfields at Clemente and Wells high schools will raise their profile as competitive to limited enrollment schools, 1st Ward Ald. Proco Joe Moreno suggested in a question-and-answer session with EVA members Nov. 5. "I know you gotta crack a few eggs to make an omelet," Moreno said, "but it took too long." Ashland and Western avenues have been discussed as transit-oriented development zones. Moreno said he would bring any plan to EVA for comment. School administrators and teachers support a language academy program at Wells High School, Moreno said, but funding is unresolved. A day before the November vote but a few years ahead of a potential remap, ward gerrymandering was on the table. In 2011, EVA sought to keep East Village in a single ward. Moreno blamed remap issues on citywide population losses, and predicted that more changes would come with a growing Latino population. He suggested that EVA again work through the City Council's rules committee, currently chaired by 8th Ward Ald. Michelle Harris. 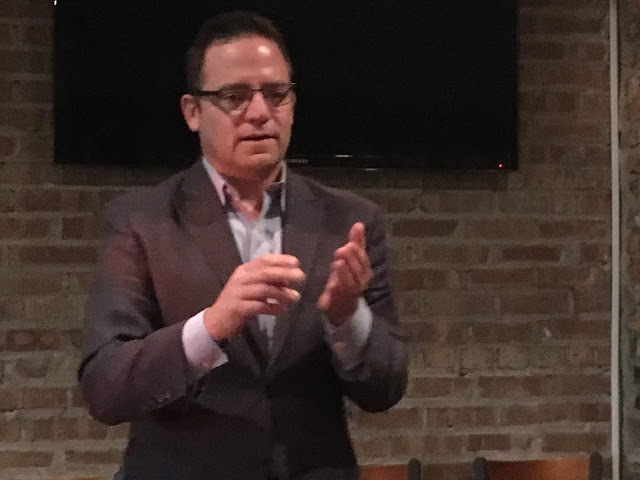 With a Feb. 26 mayoral primary approaching, Moreno had good words for Gery Chico, Susana Mendoza and Toni Preckwinkle and suggested that a Democratic majority in the U.S. House of Representatives would strengthen the next mayor's hand. Cmdr. Stephen Chung has performed well in his 12th District police post and would not be likely to bid for a transfer, Moreno said. Bike lanes on Chicago Avenue are still in the planning stage. Moreno suggested that transportation planners will be receptive to community input. Citing Chicago Tribune reporting on tax inequities, Moreno expects reform from incoming Cook County Assessor Fritz Kaegi. Moreno wants to support affordable housing, but not through a real estate transfer tax.